The mowing of slopes into waterways is often important to maintain the stability of the banks from erosion. 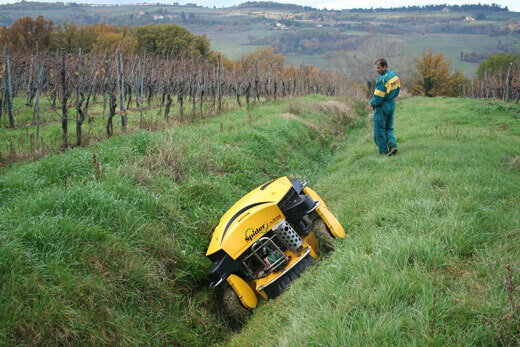 However, slopes adjacent to drains and waterways pose a particular hazard to conventional mowing methods. Whether on a tractor or ride-on-mower, the operator is positioned on top of a vehicle while the ground conditions could be slippery or soft, and steep banks have a risk of rollover. Whether rollover or loss of vehicle control, water at the bottom of such areas greatly increases the potential hazard of such work. 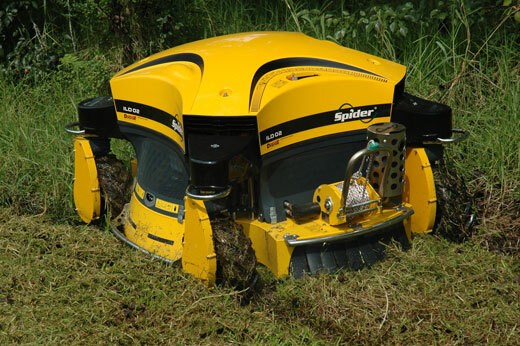 With the Spider Mower, the operator is not placed in these hazardous situations, rather the operator controls the mower from a safe position. Photographs for illustration purposes - standard specifications may not match those shown. 15 minutes to cut both sides of 40 metres of over-grown table drain. A typical example of the productivity of the Spider Mower. These wide-angle photographs are deceptive and flatten the apparent incline of these drain banks, which are in excess of 30 degrees. Loss of control or roll-over while mowing above a substantial body of water below is a serious potential hazard. This area adjacent to a drain is soft and water logged and would ordinarily not be mowed. 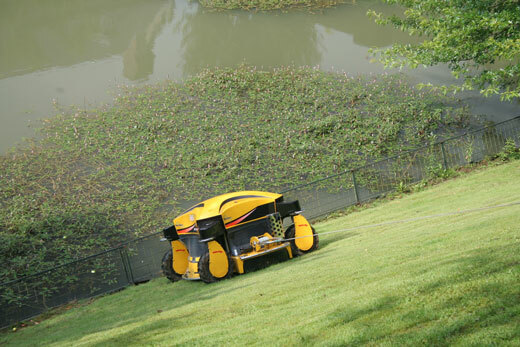 The light weight four wheel drive Spider Mower handles the conditions and keeps on mowing.